This is a sponsored post written by me for Rainbow International. All opinions are mine alone. 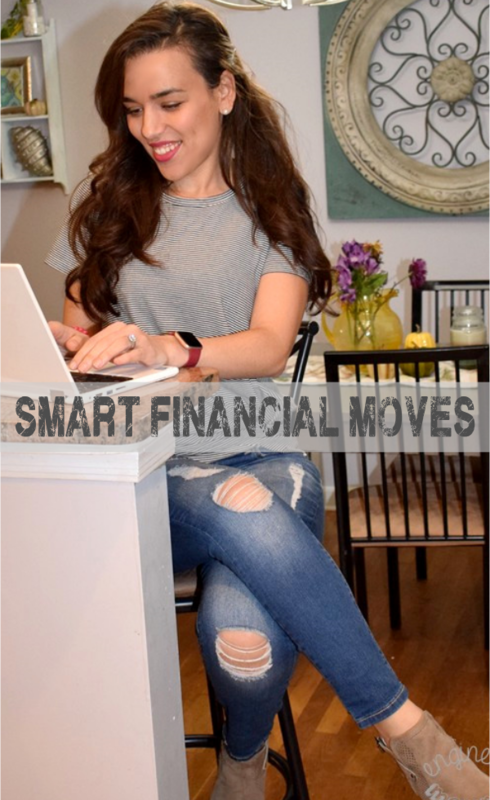 With the holiday season in full swing, many of us are gearing up for multiple parties over the next few months. However, with all the festivities taking place at home, spills are inevitable. 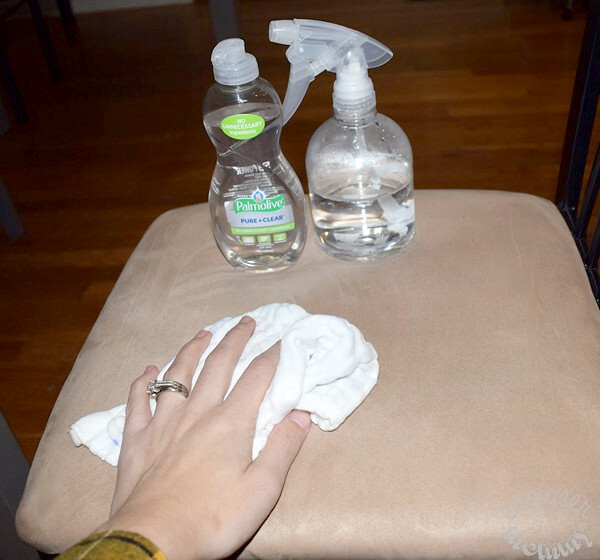 Today I’ll be sharing some smart tips on tackling all those unsightly stains & unpleasant odors. 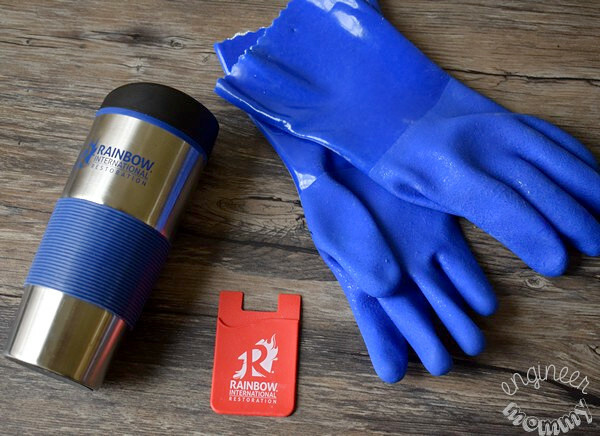 With the right tools & a few smart hacks from Rainbow International, cleaning up after a party can be a breeze! 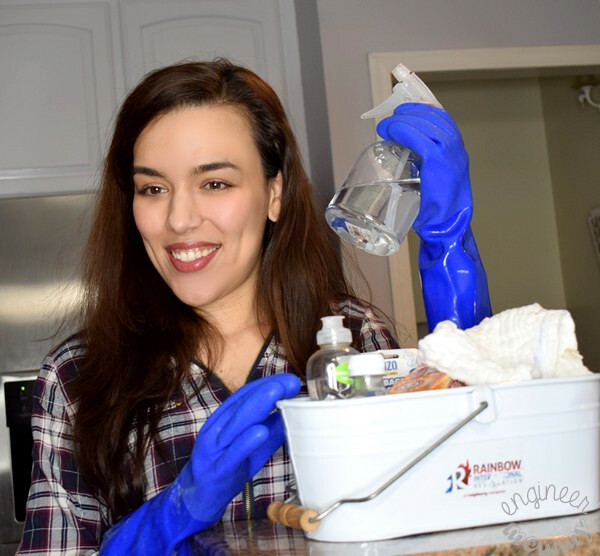 Rainbow International, a Neighborly® company, is a global franchise organization established in 1981 that offers residential & commercial restoration and cleaning services. There are over 400 locations worldwide that help homes recover from water, smoke and fire damage. Neighborly® consists of over 3,500 home service professionals and includes such brands as Glass Doctor®, Molly Maid®, Mr. Appliance®, and more. If you’re looking for professional help with your home, see how Neighborly® can help. Cranberry sauce: Blot the stain with a mixture of dish soap & warm water. Continue to blot until the stain lifts, incorporating a 3% hydrogen peroxide solution for stubborn stains. Eggnog: Blot using an enzyme detergent solution with a white cotton towel until the stain begins to disappear. Chocolate: Scrape off as much chocolate as possible first. Next blot with a mixture of detergent & warm water using a cotton towel. Continue blotting with clean white cotton towel and cold water until the stain is completely gone. Red Wine: Use a white cotton towel to remove as much of the stain as possible. Next use some warm water to lift any remaining stain. If the stain is stubborn, apply a 3% hydrogen peroxide solution. Lipstick: Start by scraping off as much lipstick as possible. Next apply a solvent and blot with a white cotton towel. Rinse with water. White Wine: Flush stain with warm water and club soda. Blot with a clean white towel. Coffee / Tea: Apply a mixture of detergent and water. Scrub with a white cotton towel and blot with water. If the stain is stubborn, apply some 3% hydrogen peroxide. Cigarette smoke: Ceilings and walls can trap the odor of cigarette smoke making it a particularly pervasive & stubborn smell. To treat this odor, use a mixture of baking soda and hot water to scrub the walls & ceilings. Pet urine: This odor can be a bit tricky to remove, but a natural solution that is effective includes essential oils (like tea tree oil or eucalyptus oil). Simply blot as much urine as possible with a cotton towel and then add water to rinse away the excess. Use dish washing detergent to break down the stain and use a towel to lift up the stain/odor. Finally, spray the area with a mixture of water and essential oils to remove any lingering odors. Garbage smells: Place some orange or lemon peels at the bottom of the trash can every time you change the bag. You can also place citrus peels into the garbage disposal to remove the scent of yesterday’s food scraps. Baking soda also works well to absorb foul odors in the garbage can and the garbage disposal. I hope these tips have inspired to keep your house beautifully clean during the holiday season and beyond. If you would like to call in the pros for your home care needs, consider reaching out to Rainbow International or Neighborly. 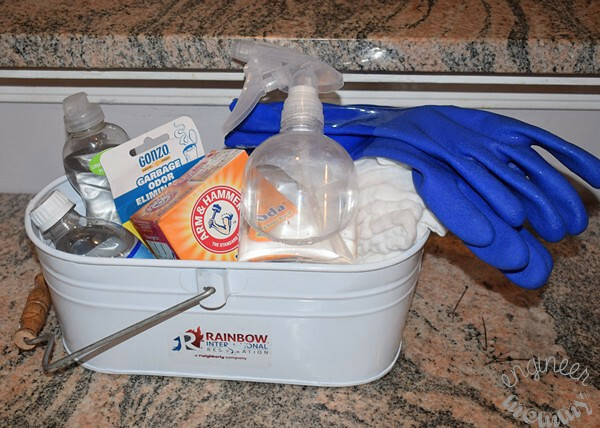 Don’t forget to visit Rainbow International for your professional cleaning needs this holiday season. Do you have any tips for tackling stubborn stains? What’s your favorite go-to cleaning product? I LOVE these! Having family over for the holidays is great, but boy, do they make a mess! I’m bookmarking this. Now here are some very useful tips that will probably come in very handy over all the holidays. Saving this so I know what to do for which stains. There’s bound to be a few stains during the holiday season and these are all great ways to treat them. I’m keeping this handy over the holidays because I’m hosting several parties and spills happen. Pet urine is a really hard smell to get rid off. Thanks for the tips! I’ve never heard of this cleaning franchise before. Very interesting and useful. Thanks for the cleaning solutions too. I really enjoyed this post. These are awesome tips. Hosting during the holidays can lead to a lot of stains. Some very useful tips that will probably come in very handy over all the holidays. Pinning this for later to help me with stains. I’ll keep this in mind. We always get stains over the holidays. Heck, we have stains right now that I can’t get out, so I’ll try this! These are great tips! I usually have a variety of stains through the holidays. From gravy stains to lipstick on cloth napkins. Thanks so much for sharing! Perfect time for these great stain remover ideas. Seems like somebody is always spilling during the holidays. Definitely bookmarking this to keep on hand. We always have some kind of stain like lipstick on my napkins that I can never get out. My carpet could use a workover before the holidays. The kids do a number on it and the couch! Is there anything that baking soda can’t solve?! Every home should have it. Your tips are awesome and I know this because I use most of them. I have guests this year during the holidays. So I will use some of your tips for a good cleaning! I need these tips. My kids are careless when it comes to staining chairs, they love doing art in our dining room and always ends up with a mess or two. This is very helpful and right on time. I am saving this for sure so that when the inevitable happens, I’m prepared! I need to start planning for the holidays. Thanks for all the tips – I will have to be prepared so that I’m not so frazzled when I need to clean up! 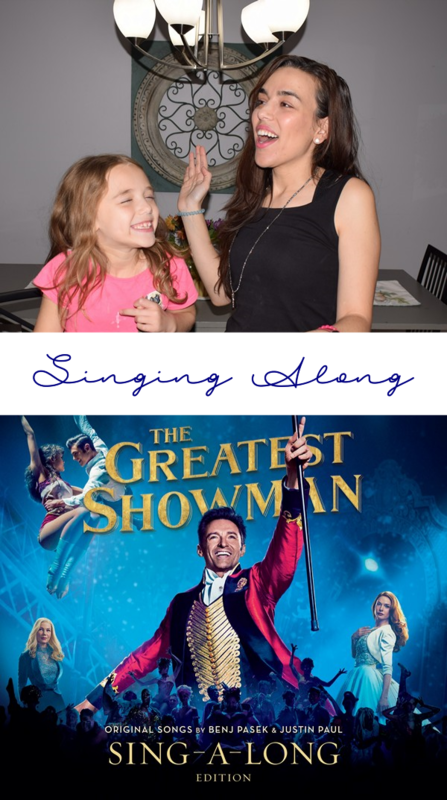 Great tips and ideas! We love using citrus peels for a fresh scent too! Love your tips! So hard to get rid of some tough stains! Can’t wait to use your tips!